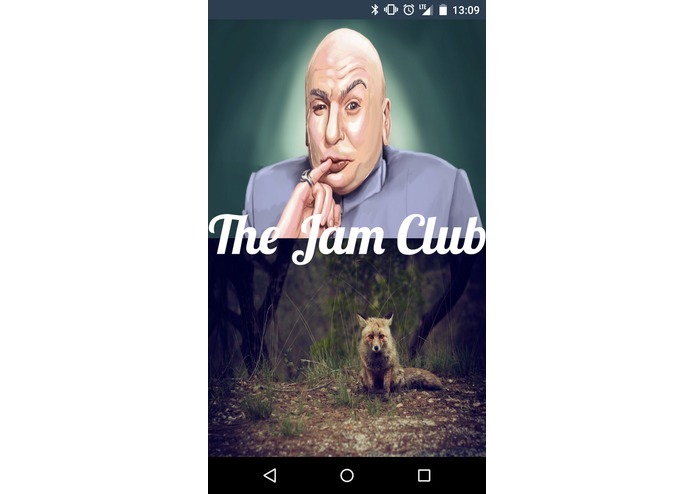 Jamclub is the world’s first on-demand Traffic Jam as a Service app that lets you perform a real-world Distributed Denial of Service attack with Uber cars. Have you ever wanted to invest $10000 to get as many cars as you could on a single street? Well, now you can do it. 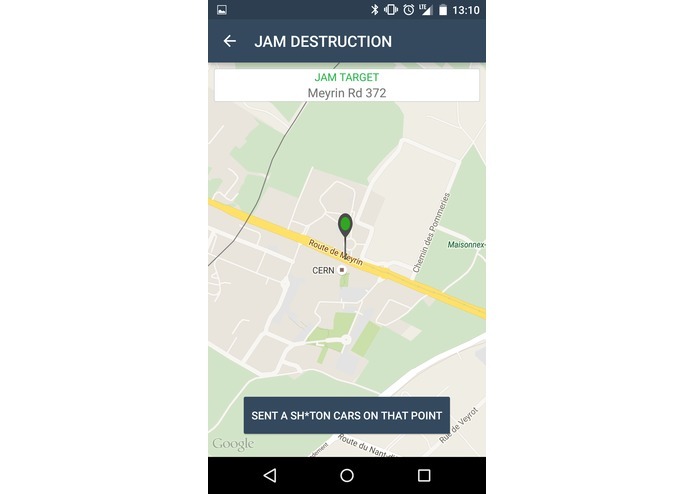 By using our simple Android app you can burn as much cash as you want and attack your desired location. And if you’re just a villain but not as rich as Dr. Evil, you can take part too. Once you open the app, you can either choose to be Dr. Evil, pay and give life to the wildest road jam possible, or just be a regular villain and loan your Uber account to the system. 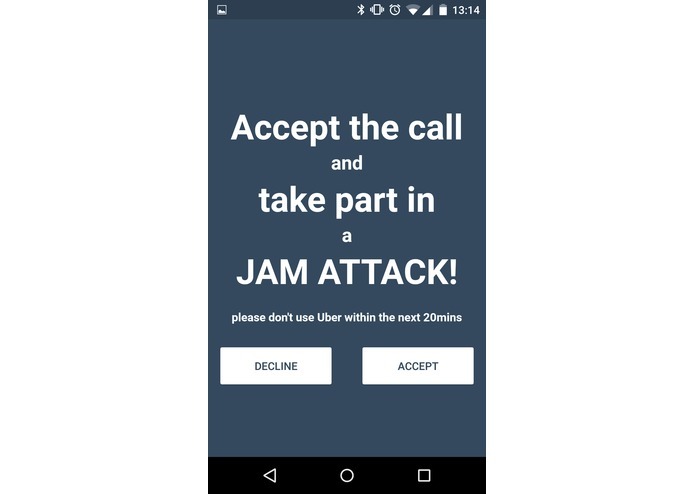 When the user pays and confirms the attack, the system will start sending push notifications to all the other users who provided access to their Uber account. Receivers of these notifications can decide to take part on a per-attack basis. 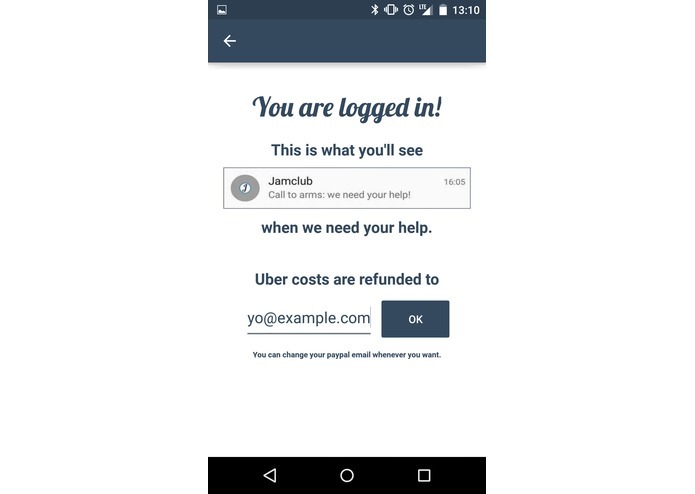 Consenting user’s Uber accounts are used by the system to dispatch as many cars as possible to the target location until the amount paid runs out. In order to make the attack as effective as possible, and to ensure some fairness to drivers, the system would never revoke a request while drivers are on their way. As drivers arrive to the target point they will probably start slowing down looking for their passengers and either stop near sidewalks or keep staying on the same street or block for the next few minutes. You are going to see it in the app's God Mode. Bot-type users will get reimbursed of all the fees charged by Uber for their requests through the Paypal address they provided on the signup form. 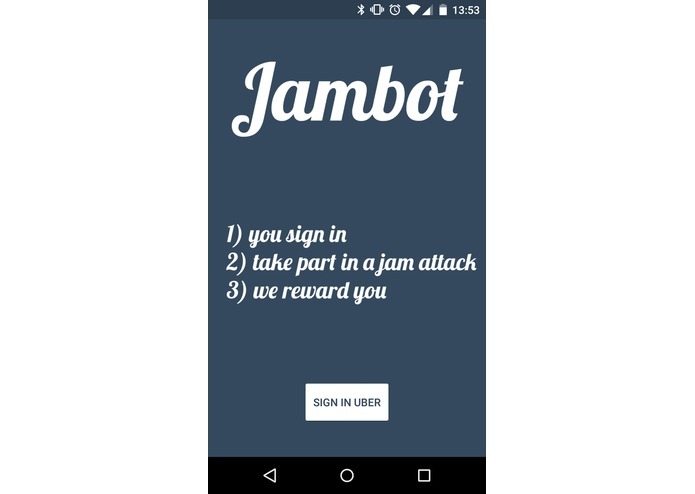 All the users involved in an attack will get a surprise reward in their inbox within 24 hours of the attack’s termination. 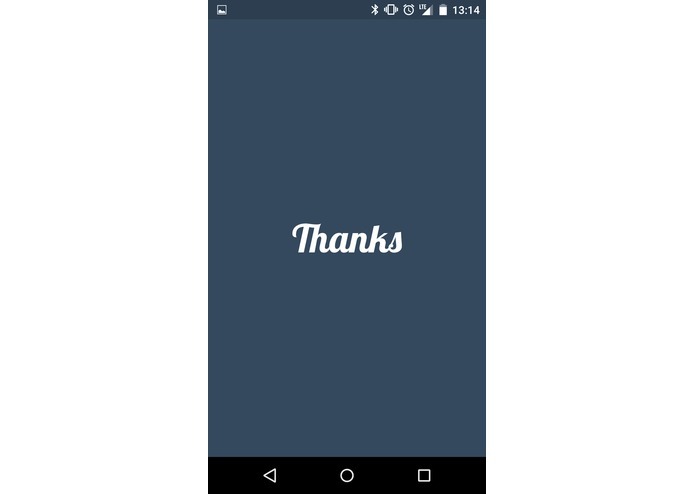 These rewards serve as a way to thank users for providing us access to their accounts and as an apology for allowing us exclusive use of their accounts for a few minutes. For a real-world attack to be actually effective, you will need a lot of consenting users, a ton of cash (you need to account for surge pricing) and a target located in cities with a high density of Uber cars.